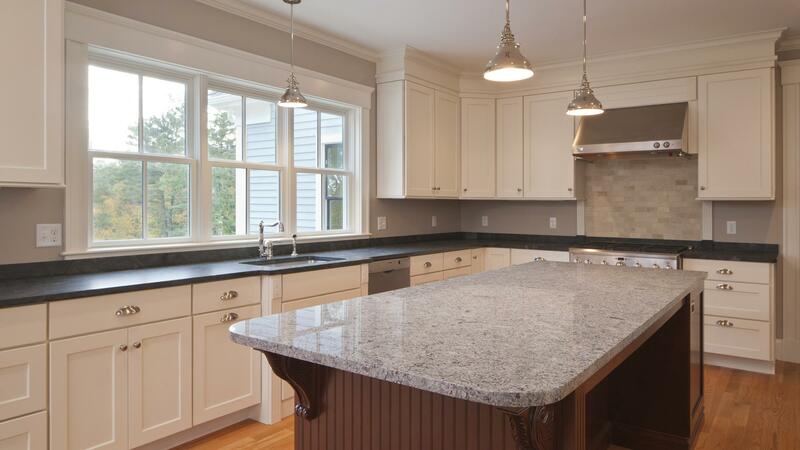 Granite is one of the most popular materials to use as countertops in bathrooms and kitchens. It’s expensive, however, though it lasts a long time. To make sure your granite countertops stay in good shape over years to come, try out these maintenance tips. As you already know, granite is one of the most expensive building materials used in modern homes. Granite looks great and lasts a long time. However, even the sturdy material that is granite can succumb to wear and tear if it’s not protected. The best way to protect your granite countertops is to use a high-quality, clear sealant to act as a barrier between food, water, and other substances and the granite slab itself. By using sealant to separate the countertop from potential harm, you’ll greatly extend the life of your granite countertops. There’s a simple test that homeowners can perform to determine if their granite countertops’ protective layers of sealant need to be repaired. The test is known simply as the water test. Take roughly 50 milliliters of water and pour it on your granite countertop. If it is absorbed immediately, you need to add sealer immediately. Better yet, add two layers! It should also be reapplied a few times each year. If the water takes 10 minutes to disappear, you can likely get away with one layer of sealant every few years. If the water doesn’t go away after a full half-hour, you can get by with zero sealant. Although sealant acts as a coaster itself, all drinks should be placed on top of coasters to prevent sealant from being damaged. If the sealant is damaged, your granite countertop can absorb stains and microbes. Don’t be scared to shoo people away from your granite countertops if they have drinks in their hands, either. It’ll pay off in the long run!